Selected by Poets and Writers Magazine as one of the top ten 2014 Debut Poets, poet-dramatist Cindy Williams Gutiérrez draws inspiration from the silent and silenced voices of history and herstory. Her poetry collection, the small claim of bones, was published by Arizona State University’s Bilingual Press. Poems and reviews have appeared in Borderlands, Calyx, Harvard’s Journal of Feminist Studies in Religion, the Universidad Nacional Autónoma de México’s Periódico de poesía, Portland Review, Quiddity, Rain Taxi, Rattle, and ZYZZYVA. Plays include Words That Burn, which premiered in Milagro’s 2014 La Luna Nueva festival to commemorate Hispanic Heritage Month and the William Stafford Centennial, and A Dialogue of Flower & Song featured in the 2012 GEMELA (Spanish and Latin American Women’s Studies) Conference co-sponsored by the University of Portland and Portland State University. 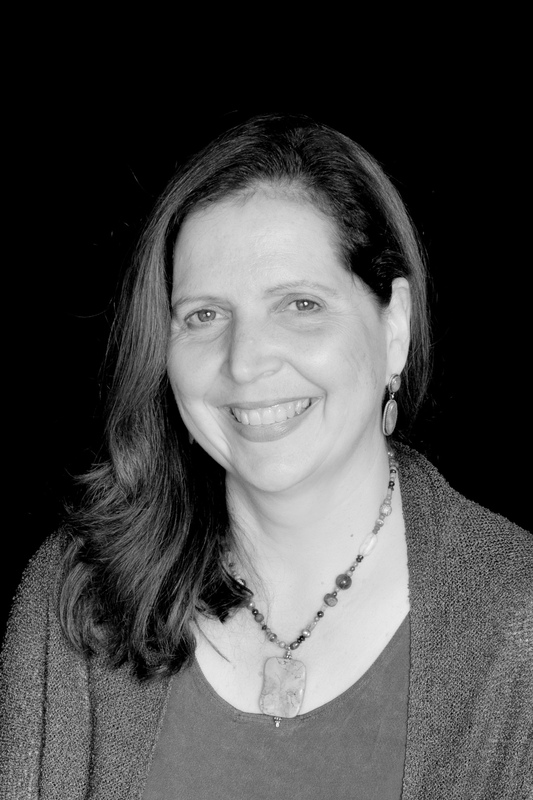 Cindy earned an MFA from the University of Southern Maine Stonecoast Program with concentrations in Mesoamerican poetics and creative collaboration. 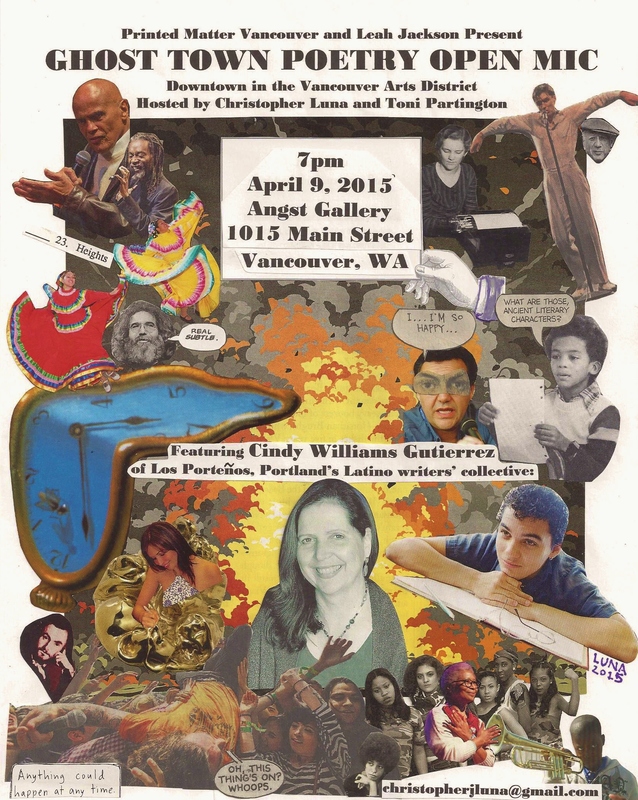 Cindy is a founding member of Los Porteños, Portland’s Latino writers’ collective, and the founder of Grupo de ’08, a Northwest collaborative-artists’ salon inspired by Lorca’s Generación de ’27. Los Porteños is committed to making Latino and Latin American literature an integral part of the Portland community. We are dedicated to raising our voices and raising awareness of our diverse languages, canons, stories and cultures. We develop and nurture each unique voice into a collective of writers honoring this diverse heritage. Founded in 2006 with the steadfast support of Milagro Theatre, we have presented annual literary readings for Day of the Dead as well as participated in Milagro’s La Luna Nueva festival. In 2011, we began hosting a William Stafford Birthday Reading featuring original, multilingual poetry and prose written in response to Stafford poems. 2014 marked Los Porteños’ foray into community-building projects, including a Noche de Neruda reading at Literary Arts, a staged reading of Marrano Justice in collaboration with Congregation Ahavath Achim, and the production of Words That Burn in commemoration of Hispanic Heritage Month, the William Stafford Centennial, and the rescindment of Executive Order 9066. A dramatization of the World War II experiences of conscientious objector William Stafford, Japanese-American internee Lawson Inada, and Chicano Marine Guy Gabaldón, Words That Burn was supported by 20 community sponsors, including arts and humanities funders; Asian-American, Latino, and peace organizations; as well as universities and libraries. Recent collaborations featured Echoes Cabaret—in memory of “the disappeared”—with the Jewish Theatre Collaborative and Mujeres—in celebration of International Women’s Day—with Milagro. Upcoming readings include Letters in Exile: William Stafford and Miguel Hernández at Literary Arts on Wednesday, May 13 at 7 pm. Make my body a cuicoyan, this house of song. To swell the sky with a thousand plumes of light. Ehua! Let us remember to beat our deerskin drums and dance. And the heart fiercely tremble. Yolhuihuiyocaz, tremble. From the small claim of bones, Bilingual Press, 2014.